While mapping the seafloor some 250 miles off the coast of the Australian island of Tasmania, scientists recently discovered what’s being called a “volcanic lost world” deep underwater. The chain of volcanic seamounts — huge undersea mountains that loom as tall as 9,800 feet, or more than six times taller than the Empire State Building — offer a glimpse into a previously unknown ocean ecosystem. The seamounts vary in size and shape, with some having sharp peaks and others having plateaus, Tara Martin, a researcher with the Commonwealth Scientific and Industrial Research Organisation in Hobart, Tasmania, said in a statement. But even the tallest seamounts were still at least 6,500 feet below the ocean’s surface. The scientists also encountered an unusual abundance of marine animals in the area, including humpback and long-finned pilot whales as well as albatrosses, petrels and other seabirds. The unexpected discovery, made by scientists aboard the organization’s research ship Investigator during a 25-day mapping expedition, highlights just how little we really know about the bottom of the ocean. 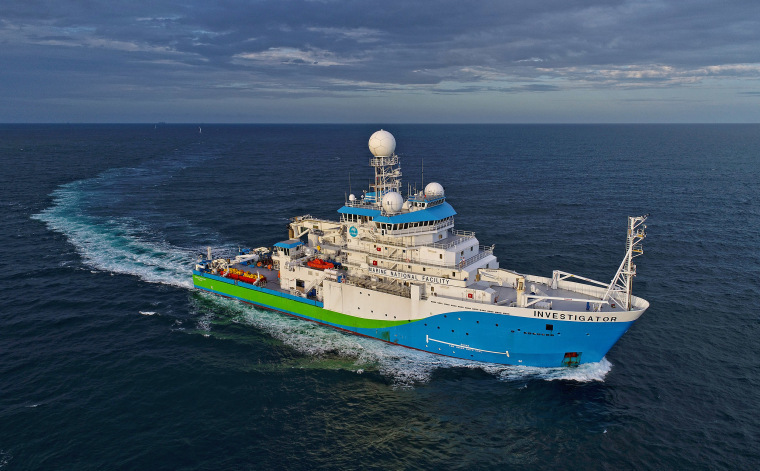 The Australian researchers plan to study the seamounts off Tasmania in greater detail during future expeditions over the next two months. Fisher said he’s keen to see the results of these follow-up studies, adding that the discovery suggests that many more of these hidden worlds may be out there waiting to be found. Want more stories about volcanoes?